American Samoa (/-səˈmoʊ.ə, –sɑː-/ ( listen); Samoan: Amerika Sāmoa, [aˈmɛɾika ˈsaːmʊa]; also Amelika Sāmoa or Sāmoa Amelika) is an unincorporated territory of the United States located in the South Pacific Ocean, southeast of Samoa. Its location is centered around 14.2710° S, 170.1322° W. It is on the eastern border of the International Date Line, while independent Samoa is west of it. The current population of American Samoa is approximately 55,689 people. Most of them are “nationals but not citizens of the United States at birth”. Most American Samoans are bilingual and can speak English and Samoan fluently. Samoan is the same language spoken in neighboring independent Samoa. Contact with Europeans began in the early 18th century. Dutchman Jacob Roggeveen was the first known European to sight the Samoan Islands in 1722, calling them the “Baumann Islands” after one of his captains. This visit was followed by French explorer Louis-Antoine de Bougainville who named them the “Îles des Navigateurs” in 1768. British explorer James Cook recorded the island names in 1773, but never visited. The 1789 visit by La Perouse ended in an attack and resulted in the death of his second in command Capt. de Langle and several of his crew on a Tutuila water collection expedition. La Perouse named the island “Massacre Island”, and the bay near Aasu is still called “Massacre Bay”. At the turn of the twentieth century, international rivalries in the latter half of the century were settled by the 1899 Tripartite Convention in which Germany and the United States partitioned the Samoan Islands into two parts: The eastern island group became a territory of the United States (the Tutuila Islands in 1900 and officially Manu’a in 1904) and is today known as American Samoa; the western islands, by far the greater landmass, became known as German Samoa, after Britain gave up all claims to Samoa and in return accepted the termination of German rights in Tonga and certain areas in the Solomon Islands and West Africa. Forerunners to the Tripartite Convention of 1899 were the Washington Conference of 1887, the Treaty of Berlin of 1889 and the Anglo-German Agreement on Samoa of 1899. 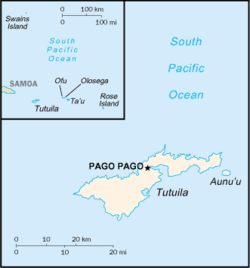 The following year, the U.S. formally annexed its portion, a smaller group of eastern islands, one of which contains the noted harbor of Pago Pago. After the United States Navy took possession of eastern Samoa for the United States government, the existing coaling station at Pago Pago Bay was expanded into a full naval station, known as United States Naval Station Tutuila and commanded by a commandant. 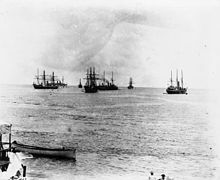 The Navy secured a Deed of Cession of Tutuila in 1900 and a Deed of Cession of Manuʻa in 1904 on behalf of the US government. 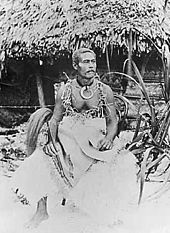 The last sovereign of Manuʻa, the Tui Manuʻa Elisala, signed a Deed of Cession of Manuʻa following a series of U.S. naval trials, known as the “Trial of the Ipu”, in Pago Pago, Taʻu, and aboard a Pacific Squadron gunboat. The territory became known as the U.S. Naval Station Tutuila. On July 17, 1911, the US Naval Station Tutuila, which was composed of Tutuila, Aunu’u and Manu’a, was officially renamed American Samoa. In 1918, during the final stages of World War I, the flu pandemic had taken its toll, spreading rapidly from country to country. American Samoa became one of only three places in the world (the others being New Caledonia and Marajó island in Brazil) to have prevented any deaths during the pandemic through the quick response from Governor John Martin Poyer after hearing news reports of the outbreak on the radio and requesting quarantine ships from the U.S. mainland. The result of Poyer’s quick actions earned him the Navy Cross from the U.S. Navy. With this distinction, American Samoans regarded Poyer as their hero for what he had done to prevent the deadly disease. The neighboring New Zealand territory at the time, Western Samoa, suffered the most of all Pacific islands, with 90% of the population infected; 30% of adult men, 22% of adult women and 10% of children died. Poyer offered assistance to help his New Zealand counterparts, but was refused by the administrator of Western Samoa, Robert Logan, who became outraged after witnessing the number of quarantine ships surrounding American Samoa. Angered by this, Logan had cut off communications with his American counterparts. By 1956, the U.S. Navy–appointed governor was replaced by Peter Tali Coleman, who was locally elected. Although technically considered “unorganized” since the U.S. Congress has not passed an Organic Act for the territory, American Samoa is self-governing under a constitution that became effective on July 1, 1967. The U.S. Territory of American Samoa is on the United Nations list of Non-Self-Governing Territories, a listing which is disputed by the territorial government officials, who do consider themselves to be self-governing. On December 15, 1916, English writer William Somerset Maugham arrived in Pago Pago, allegedly accompanied by a missionary and Miss Sadie Thompson. His visit inspired his short story “Rain” which later became plays and three major Motion Pictures. The building still stands where Maugham stayed and has been renamed the Sadie Thompson Building. Today it is a prominent restaurant and inn. On November 3, 1920, American Samoa’s 12th naval governor, Commander Warren Jay Terhune, committed suicide with a pistol in the bathroom of the government mansion, overlooking the entrance to Pago Pago Harbor. His body was discovered by Government House’s cook, SDI[clarification needed] First Class Felisiano Debid Ahchica, USN. His ghost is rumored to walk about the grounds at night. On November 24, 1939, American Samoa’s last execution was carried out. Imoa was convicted of stabbing Sema to death and was hanged in the Customs House. The popular Samoan song “Fa’afofoga Samoa” is based on this, said to be the final words of Imoa. On October 18, 1966, President Lyndon Baines Johnson and First Lady Lady Bird Johnson visited American Samoa. Mrs. Johnson dedicated the “Manulele Tausala” (“Lady Bird”) Elementary School in Nu’uuli, which was named after her. Johnson is the only US President to have visited American Samoa, while Mrs. Johnson was the second First Lady, preceded by Eleanor Roosevelt in 1943. The territory’s only hospital was renamed in honor of President Johnson – LBJ Tropical Medical Center. A U.S. Navy P-3 Orion patrol plane from Patrol Squadron 50 (VP-50) had its vertical stabilizer shorn off by the Solo Ridge-Mount Alava aerial tramway cable across Pago Pago harbor on April 17, 1980 during the Flag Day celebrations, when carrying six skydivers from the U.S. Army’s Hawaii-based Tropic Lightning Parachute Club. The plane crashed, demolishing a wing of the Rainmaker Hotel and killing all six crew members and one civilian. The six skydivers had already left the aircraft during a demonstration jump. A memorial monument is erected on Mt. Mauga O Ali’i to honor their memory. On September 29, 2009, at 17:48:11 UTC, an 8.1 magnitude earthquake struck 120 miles (190 km) off the coast of American Samoa, followed by smaller aftershocks. It was the largest earthquake of 2009. 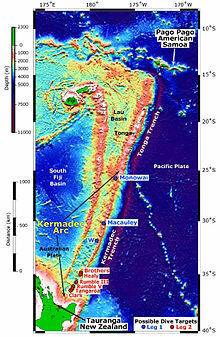 The quake occurred on the outer rise of the Kermadec-Tonga Subduction Zone. This is part of the Pacific Ring of Fire, where tectonic plates in the Earth’s lithosphere meet and earthquakes and volcanic activity are common. The quake struck 11.2 miles (18.0 km) below the ocean floor and generated an onsetting tsunami that killed more than 170 people in the Samoa Islands and Tonga. Four waves with heights from 15 feet (4.6 m) to 20 feet (6.1 m) high were reported to have reached up to one mile (1.6 km) inland on the island of Tutuila. The Defense Logistics Agency worked with the Federal Emergency Management Agency to provide 16′ × 16′ humanitarian tents to the devastated areas of American Samoa. Politics of American Samoa takes place in a framework of a presidential representative democratic dependency, whereby the Governor is the head of government, and of a pluriform multi-party system. American Samoa is an unincorporated and unorganized territory of the United States, administered by the Office of Insular Affairs, U.S. Department of the Interior. In 1966, the United Nations gave American Samoa the option of joining the independent country of Samoa, but American Samoa chose to stay in the United States. American Samoa’s constitution was ratified in 1966 and came into effect in 1967. Executive power is exercised by the governor. Legislative power is vested in the two chambers of the legislature. The American political parties (Republican and Democratic) exist in American Samoa, but few politicians are aligned with the parties. The judiciary is independent of the executive and the legislature. There is also the traditional village politics of the Samoa Islands, the “fa’amatai” and the “fa’asamoa“, which continues in American Samoa and in independent Samoa, and which interacts across these current boundaries. The Fa’asamoa is the language and customs, and the Fa’amatai the protocols of the “fono” (council) and the chief system. The Fa’amatai and the Fono take place at all levels of the Samoan body politic, from the family, to the village, to the region, to national matters. The “matai” (chiefs) are elected by consensus within the fono of the extended family and village(s) concerned. The matai and the fono (which is itself made of matai) decide on distribution of family exchanges and tenancy of communal lands. The majority of lands in American Samoa and independent Samoa are communal. A matai can represent a small family group or a great extended family that reaches across islands, and to both American Samoa and independent Samoa. In 2010, voters rejected a package of amendments to the territorial constitution, which would have, among other things, allowed only U.S. citizens with Samoan ancestry to be legislators. In 2012, both the Governor and American Samoa’s delegate to the U.S. Congress Eni Faleomavaega called for the populace to consider a move towards autonomy if not independence, to a mixed response. According to the Immigration and Nationality Act (INA), the people born in American Samoa – including those born on Swains Island – are “nationals but not citizens of the United States at birth”. If a child is born on any of these islands to any U.S. citizen, then that child is considered a national and a citizen of the United States at birth. In an amicus curiae brief filed in federal court, Samoan Congressman Faleomavaega supported the legal interpretation that the Citizenship Clause of the Fourteenth Amendment does not extend birthright citizenship to United States nationals born in unincorporated territories. All U.S. nationals have statutory rights to reside in the United States (i.e., the 50 states and Puerto Rico), and may apply for citizenship by naturalization after three months of residency by passing a test in English and civics, and by taking an oath of allegiance to the United States. However, the INA makes clear that any “national but not a citizen of the United States” who at any time has been convicted of any aggravated felony, whether the aggravated felony was committed inside or outside the United States, is “debarred from becoming a citizen of the United States”. In July 1997 the Constitution was amended to change the country’s name from Western Samoa to Samoa (officially the “Independent State of Samoa”). Western Samoa had been known simply as Samoa in the United Nations since joining the organization in 1976. The neighboring U.S. territory of American Samoa protested the move, feeling that the change diminished its own Samoan identity. 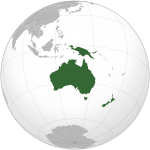 American Samoans still use the terms Western Samoa and Western Samoans. American Samoa is administratively divided into three districts—Eastern District, Western District, and Manu’a District—and two “unorganized” atolls, Swains Island and the uninhabited Rose Atoll. The districts and unorganized atolls are subdivided into 74 villages. 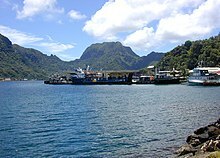 Pago Pago—the capital of American Samoa—is one of the largest villages and is located on the eastern side of Tutuila island in Ma’oputasi County. Fagatogo is listed in the Constitution of American Samoa as the official seat of government, but it is not the capital. 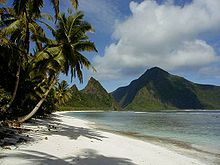 American Samoa, located within the geographical region of Oceania, is one of only two possessions of the United States in the Southern Hemisphere, the other being Jarvis Island. Its total land area is 76.1 square miles (197.1 km2) – slightly larger than Washington, D.C. – consisting of five rugged, volcanic islands and two coral atolls. The five volcanic islands are Tutuila, Aunu’u, Ofu, Olosega, and Ta‘ū. The coral atolls are Swains and Rose Atoll. Of the seven islands, Rose Atoll is the only uninhabited one; it is a Marine National Monument. Due to its positioning in the South Pacific Ocean, it is frequently hit by tropical cyclones between November and April. Rose Atoll is the easternmost point of the territory. American Samoa is the southernmost part of the United States, and Rose Atoll is the southernmost point of the United States. American Samoa is home to the National Park of American Samoa. The Vailulu’u Seamount, an active submerged volcano, lies 28 miles (45 km) east of Ta‘ū in American Samoa. It was discovered in 1975 and has since been studied by an international team of scientists, contributing towards understanding of the Earth’s fundamental processes. Growing inside the summit crater of Va’ilulu’u is an active underwater volcanic cone, named after Samoa’s goddess of war, Nafanua. There are only a few federal employees in American Samoa and a few active duty military personnel, except members of the U.S. Coast Guard, military recruiters, and some Full Time Support staff at the Pele Army Reserve unit that maintains the facility and provides cadre, training, and logistics support. The Pele US Army Reserve Center, is in Tafuna, Western District, and a U.S. Army and United States Marine Corps recruiting station is in Nu’uuli, American Samoa. Some aspects of telecommunications in American Samoa are, like other U.S. territories, inferior to that of the mainland United States; a recent estimate showed that American Samoa’s Internet speed is slower than that of several Eastern European countries. American Samoa has 241 km of highways (estimated in 2008). The maximum speed limit is 30 miles per hour. Ports and harbors include Aunu‘u, Auasi, Faleāsao, Ofu and Pago Pago. American Samoa has no railways. The territory has three airports, all of which have paved runways. The main airport is Pago Pago International Airport, on the island of Tutuila. The Manu’a group has two airports: Ofu Airport on the island of Ofu, and Fitiuta Airport on the island of Ta’u. According to a 1999 estimate, the territory has no merchant marine. The current population of American Samoa is about 55,689 people, 98% of whom live on the largest island, Tutuila. Most of them all “nationals but not citizens of the United States at birth,” while 7–15% are U.S. citizens and about 35% are foreigners. Of the foreign-born population, 81% are from Samoa. American Samoa is small enough to have just one ZIP code, 96799, and uses the US Postal Service (state code “AS”) for mail delivery. Of the population, 91.6 percent are native Samoans, 2.8% are Asian, 1% is white, 4.2% are mixed, and 0.3% are of other origin. Most people are bilingual. Samoan, a language closely related to Hawaiian and other Polynesian languages, is spoken natively by 91% of the people as well as the co-official language of the territory, while 80% speak English, 2.4% speak Tongan, 2% speak Japanese and other Asian languages, and 2% speak other Pacific islander languages. At least some of the deaf population use Samoan Sign Language. Tokelauan is also spoken in Swains Island. J. Gordon Elton in his book claims that the Methodists, Congregationalists with the London Missionary Society, and Roman Catholics led the first Christian missions to the islands. Other denominations arrived later, beginning in 1895 with the Seventh-day Adventists, various Pentecostals (including the Assemblies of God), Church of the Nazarene, Jehovah’s Witnesses and Latter-Day Saints. CIA Factbook 2010 estimate shows the religious affiliations of American Samoa as 98.3% Christian, other 1%, unaffiliated 0.7%. World Christian Database 2010 estimate shows the religious affiliations of American Samoa as 98.3% Christian, 0.7% agnostic, 0.4% Chinese Universalist, 0.3% Buddhist and 0.3% Bahá’í. According to Pew Research Center, 98.3% of the total population is Christian. Among Christians, 59.5% are Protestant, 19.7% are Roman Catholic and 19.2% are other Christians. A major Protestant church on the island, gathering a substantial part of the local Protestant population, is the Congregational Christian Church in American Samoa, a Reformed denomination in the Congregationalist tradition. As of August 2017[update], The Church of Jesus Christ of Latter-day Saints website claims membership of 16,180 or one-quarter of the whole population, with 41 congregations, and 4 family history centers in American Samoa. Jehovah’s Witnesses claim 210 “ministers of the word” and 3 congregations. The ethnic culture of American Samoa is almost the same as the ethnic culture of Western Samoa (Upolu and Savaii). Aside from the territory’s relationship with America and consequent cultural influence, there is little that differentiates it from the sovereign nation of Samoa. About 30 ethnic Samoans, all from American Samoa, currently play in the National Football League, and more than 200 play NCAA Division I college football. In recent years, it has been estimated that a Samoan male (either an American Samoan, or a Samoan living in the mainland United States) is anywhere from 40 to 56 times more likely to play in the NFL than a non-Samoan American, giving American Samoa the nickname “Football Islands”. Six-time All-Pro Junior Seau was one of the most famous Americans of Samoan heritage ever to play in the NFL, having been elected to the NFL 1990s All-Decade Team and Pro Football Hall of Fame. Pittsburgh Steelers safety Troy Polamalu, though born and raised in the mainland United States, is another famous American of Samoan heritage to have played in the NFL, not having his hair cut since 2000 (and only because a USC coach told him he had to) and wearing it down during games in honor of his heritage. The football culture was featured on 60 Minutes on January 17, 2010. American Samoa’s delegation to the 2016 Republican National Convention boasted about being “the greatest exporter of NFL players”. The American Samoa national association football team is one of the newest teams in the world, and is also noted for being the world’s weakest. They lost to Australia 31–0 in a FIFA World Cup qualifying match on April 11, 2001, but on November 22, 2011 they finally won their first ever game, beating Tonga 2–1 in a FIFA World Cup qualifier. The appearance of American Samoa’s Jaiyah Saelua in the contest “apparently became the first transgender player to compete on a World Cup stage”. A number of American Samoan athletes have been very visible in professional wrestling. The Anoa’i family in particular has had many of its members employed by WWE. The American Samoa national rugby league team represents the country in international rugby league. The team competed in the 1988, 1992, 1998 and 2004 Pacific Cup competitions. The team has also competed in the 2003 and 2004 World Sevens qualifiers in the 2005 World Sevens. America Samoa’s first match in international Rugby League was in 1988 pacific cup against Tonga, Tonga won the match 38–14 which is still the biggest loss by an American Samoan side. American Samoa’s biggest win was in 2004 against New Caledonia with the score ending at 62–6. The second American Samoan to play for the All Blacks is Jerome Kaino (born in Faga’alu). A native of Leone, Kaino moved to New Zealand when he was 4 years old. In 2004, at age 21, he played his first match for New Zealand against the Barbarians where he scored his first try, contributing to New Zealand’s 47–19 victory that resulted in him becoming man of the match. He also played a crucial role in the Rugby World Cup 2011 playing every match in the tournament. He scored four tries in the event which led to New Zealand winning the final against France 8–7. Kaino was also a key member of the 2015 Rugby World Cup squad, where he played every match including a try he scored in the quarterfinals against France which New Zealand won 62–13. He scored again in the semifinals against South Africa, which New Zealand won 20–18. He played in the World Cup final against Australia where New Zealand won again 34–17 to become world champions for a record 3 times (1987, 2011 and 2015). Kaino is one of twenty New Zealand rugby players to have won the Rugby World Cup twice, back to back in 2011 and 2015. In August 2015, the American Samoa Rugby Union Board selected Leota Toma Patu from the village of Leone as the coach for the Talavalu 15 men’s team that represented American Samoa at the Ocean Cup 2015 in Papua New Guinea. 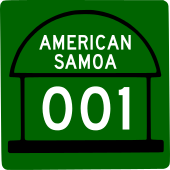 ^ a b c “American Samoa Population (live) – Worldometers”. www.worldometers.info. ^ “American Samoa GDP – per capita (PPP) – Economy”. www.indexmundi.com. ^ a b c d e f g h i “American Samoa”. The World Factbook. CIA. Retrieved February 23, 2007. ^ a b c d e Mendoza, Moises (October 11, 2014). “How a weird law gives one group American nationality but not citizenship”. Public Radio International (PRI). Retrieved 2018-10-01. Those nationals — born on the 55,000-person US island territory in the South Pacific — receive US passports, can serve in the military and work and live on the mainland United States. ^ a b c d e “U.S. nationals born in American Samoa sue for citizenship”. Associated Press. NBC News. March 28, 2018. Retrieved 2018-10-01. ^ a b c 8 U.S.C. § 1408; Tuaua v. United States, 788 F.3d 300 (D.C. Cir. 2015); Mohammadi v. Islamic Republic of Iran, 782 F.3d 9, 15 (D.C. Cir. 2015) (“The sole such statutory provision that presently confers United States nationality upon non-citizens is 8 U.S.C. § 1408.”); Matter of Navas-Acosta, 23 I&N Dec. 586 (BIA 2003) (same); see also 8 U.S.C. § 1483 (“Restrictions on loss of nationality”); 8 U.S.C. §§ 1501–1503; 8 U.S.C. § 1252(b)(5) (“Treatment of nationality claims”). ^ “Local US Army recruiting station ranked #1 in the world – Samoa News”. Archived from the original on April 2, 2015. Retrieved March 10, 2015. ^ “American Samoa”. www.doi.gov. June 11, 2015. Retrieved December 31, 2018. ^ Joanne Barker (2005). “Passive Resistance of Samoans to US and Other Colonialisms”. Sovereignty Matters: Locations of Contestation and Possibility in Indigenous Struggles for Self-determination. U of Nebraska Press. p. 109. ISBN 0-8032-5198-X. ^ Sorensen, Stan (July 12, 2006). “Historical Notes, page 2” (PDF). Tapuitea. Archived from the original (PDF) on September 26, 2011. Retrieved August 16, 2011. ^ “Manu’a celebrates 105 years under the U.S. Flag”. Samoa News. July 16, 2009. Archived from the original on September 27, 2011. Retrieved August 16, 2011. ^ “Edwin Musick – Pan Am Captain Ed Musick”. 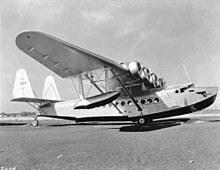 Pan Am Clipper Flying Boats. 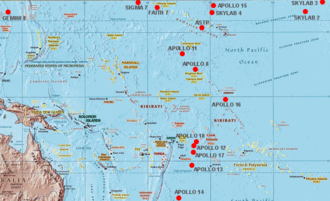 ^ “Apollo Splashdowns Near American Samoa”. Tavita Herdrich and News Bulletin. Retrieved July 7, 2010. ^ “Apollo 17 Lunar Surface Journal – Kevin Steen”. Eric M. Jones. Retrieved February 23, 2011. ^ James Brooke (August 1, 2005). “In South Pacific, US Army has strong appeal”. The New York Times. Retrieved September 30, 2009. ^ Congressman Faleomavaega (March 23, 2009). “American Samoa Death Rate in the Iraq War is Highest Among All States and US Territories”. Press Release. United States House of Representatives. Archived from the original on October 9, 2009. Retrieved September 30, 2009. ^ “A Brief History of “A’asu““. Tamug.edu. Retrieved February 26, 2014. ^ Marchant, Leslie R. “Biography – Jean-François de Galaup La Pérouse – Australian Dictionary of Biography”. Adb.anu.edu.au. Retrieved February 26, 2014. ^ “Robert Louis Stevenson”. Encyclopedia Britannica. Encyclopedia Britannica. 5 February 2019. ^ “Sadie Thompson Inn | Sadie’s Hotels”. Sadieshotels.com. Retrieved February 26, 2014. ^ Michael Robert Patterson. “Warren Jay Terhune, Commander, United States Navy”. Arlingtoncemetery.net. Retrieved February 26, 2014. ^ “American Samoa Gov’t v. Imoa”. Asbar.org. Retrieved February 26, 2014. ^ a b Enright, John. “Tutuila in WWII: In the Cross-hairs of History – Part 1”. Samoa News. Archived from the original on January 30, 2014. Retrieved February 26, 2014. ^ Eleanor Roosevelt in the Pacific (July 8, 2012). “David Huebner – US Ambassador to New Zealand”. Blogs.newzealand.usembassy.gov. Archived from the original on February 27, 2013. Retrieved February 26, 2014. ^ “Lyndon B. Johnson: Remarks Upon Arrival at Tafuna International Airport, Pago Pago, American Samoa”. Presidency.ucsb.edu. October 18, 1966. Retrieved February 26, 2014. ^ “NASA History – The Apollo Program”. History.nasa.gov. Retrieved February 26, 2014. ^ “PAGO’S WORST AIR DISASTER, PAN AM FLIGHT 806 SUBJECT OF DOCUMENTARY”. Samoa News. Retrieved February 26, 2014. ^ “Man fatally shoots American Samoa police officer outside courthouse just after hearing”. Fox News. July 23, 2010. Retrieved February 26, 2014. ^ “Clinton visits American Samoa after two-week trip to Asia”. Honolulu Star Advertiser. November 8, 2010. Retrieved August 16, 2017. ^ “American Samoa Earthquake and Tsunami”. U.S. Department of the Interior. October 13, 2009. Archived from the original on March 16, 2013. Retrieved September 22, 2014. ^ “Pacific tsunami warning cancelled, Samoa takes brunt”. Reuters. September 29, 2009. Archived from the original on October 3, 2009. Retrieved September 29, 2009. ^ Foley, Meraiah (October 1, 2009). “Scores Are Killed as Tsunami Hits Samoa Islands”. The New York Times. Archived from the original on May 11, 2011. Retrieved September 30, 2009. ^ Joyce, Stacey (September 29, 2009). “8.0 magnitude quake generates tsunami off Samoa islands”. Reuters. Archived from the original on October 3, 2009. Retrieved September 29, 2009. ^ “This folder contains material collected by the office of President John F. Kennedy’s secretary, Evelyn Lincoln, concerning American Samoa, and consists of a letter to the President from Secretary of Samoan Affairs Le’iato Tuli”. jfklibrary.org. John F. Kennedy Presidential Library and Museum. ^ “American Samoa must consider independence – congressman”. Radioaustralia.net.au. May 18, 2012. Retrieved February 26, 2014. ^ “Call for independence discussion for American Samoa”. Radioaustralia.net.au. May 18, 2012. Retrieved February 26, 2014. ^ a b c “Profile: The Samoas”. BBC News. September 30, 2009. Archived from the original on October 3, 2009. Retrieved September 30, 2009. ^ 8 U.S.C. § 1401 (“Nationals and citizens of United States at birth”). ^ Amicus Curiae Brief of Eni F. H. Faleomavaega (PDF), November 7, 2012, retrieved April 26, 2014, More than a century ago, the Supreme Court held that the Citizenship Clause of the Fourteenth Amendment does not extend birthright citizenship to United States nationals who are born in unincorporated territories. See Downes v. Bidwell, 182 US 244, 251 (1901). The Court has reaffirmed this principle through the years, noting that individuals who are born in an unincorporated territory, though “subject to the jurisdiction of the United States,” are “American nationals” who are not birthright citizens of the United States. Barber v. Gonzales, 347 U.S. 637, 639 n.1 (1954). ^ “America Samoa: Performing a Risk Assessment Would Better Inform U.S. Agencies of the Risks Related to Acceptance of Certificates of Identity” (PDF). U.S. Government Accountability Office. June 2010: 11 (page 15 of the pdf). ^ 8 U.S.C. § 1101(f)(8) (“No person shall be regarded as, or found to be, a person of good moral character who, during the period for which good moral character is required to be established is, or was … (8) one who at any time has been convicted of an aggravated felony (as defined in subsection (a)(43)) …”) (emphasis added). ^ “8 U.S.C. § 1427(d)-(e)”. U.S. Congress. Cornell Law School. Retrieved 2018-09-27. ^ “American Samoa delegate loses seat”. The Hill. November 2014. GAO-10-638: Published: June 11, 2010. Publicly Released: July 12, 2010. ^ “Constitution Amendment Act (No 2) 1997”. Retrieved November 27, 2007. ^ “US State Department Profile on Samoa”. State.gov. April 15, 2010. Archived from the original on July 22, 2010. Retrieved July 25, 2010. 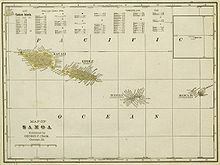 ^ “Districts of American Samoa”. statoids.com. Archived from the original on April 21, 2008. Retrieved April 26, 2008. ^ “Insular Area Summary for American Samoa”. U.S. Department of the Interior. April 6, 2010. Archived from the original on October 9, 2009. Retrieved April 11, 2011. ^ Hart, S.R. ; et al. (December 8, 2000). “Vailulu’u undersea volcano: The New Samoa” (PDF). G3, An Electronic Journal of the Earth Sciences, American Geophysical Union. Research Letter, Vol. 1. Paper number 2000GC000108. Pacific Marine Environmental Laboratory, National Oceanic and Atmospheric Administration. ISSN 1525-2027. Retrieved March 20, 2011. ^ “Congress Sacks Samoan Economy”. Europac.net. January 22, 2010. Archived from the original on October 28, 2014. Retrieved November 4, 2010. ^ “FLSA section 205, “Special industry committees for American Samoa““. Law.cornell.edu. Archived from the original on July 21, 2010. Retrieved July 25, 2010. ^ “Statement by the President Upon Signing the American Samoa Labor Standards Amendments of 1956”. Presidency.ucsb.edu. August 8, 1956. Retrieved July 25, 2010. ^ “Faleomavaega Comments On Minimum Wage Bill Now Before Congress”. House.gov. January 10, 2007. Archived from the original on November 23, 2008. Retrieved July 25, 2010. ^ “Thousands lose jobs due to higher federal minimum wage | Analysis & Opinion |”. Blogs.reuters.com. May 14, 2009. Retrieved July 25, 2010. ^ “American Samoa Gov. Tulafono criticizes StarKist”. Business Week. August 30, 2010. Archived from the original on May 16, 2011. ^ “US Insular Areas, Application of the US Constitution” (PDF). U.S. General Accounting Office. November 1997: 37. Retrieved July 16, 2012. US federal individual and corporate income taxes as such are not currently imposed in US insular areas. ^ “Pago Pago, AS”. Zip-Codes.com. Datasheer, LLC. Archived from the original on February 26, 2010. Retrieved January 24, 2010. ^ “Official USPS Abbreviations”. United States Postal Service. Retrieved July 28, 2014. ^ “American Samoa: Adherents Profile at the Association of Religion Data Archives, World Christian Database”. Thearda.com. Retrieved February 26, 2014. ^ “LDS Newsroom”. Mormonnewsroom.org. Retrieved August 11, 2017. ^ “American Samoa: How Many Jehovah’s Witnesses Are There?”. JW.ORG. Retrieved 13 August 2017. ^ “Welcome to ASDOE Website”. Doe.as. Retrieved July 25, 2010. ^ a b Pelley, Scott (January 17, 2010). “American Samoa: Football Island”. 60 Minutes. Retrieved January 20, 2010. ^ “The Walt Disney Internet Group (WDIG) – The Dominican Republic of the NFL”. Espn.go.com. Retrieved July 25, 2010. ^ “Which State Did the Best Job Bragging at the RNC? Slate’s Definitive Ranking.” Slate.com. 2016-07-19. Retrieved 2017-07-21. ^ “American Samoa football team get first ever win”. Bbc.co.uk. November 24, 2011. Retrieved December 25, 2011. ^ Montague, James (November 25, 2011). “Transgender Player Helps American Samoa to First International Soccer Win”. The New York Times. ^ a b “American Samoa”. Rugby League Planet. November 24, 2011. Retrieved December 25, 2011. “American Samoa”. The World Factbook. Central Intelligence Agency.